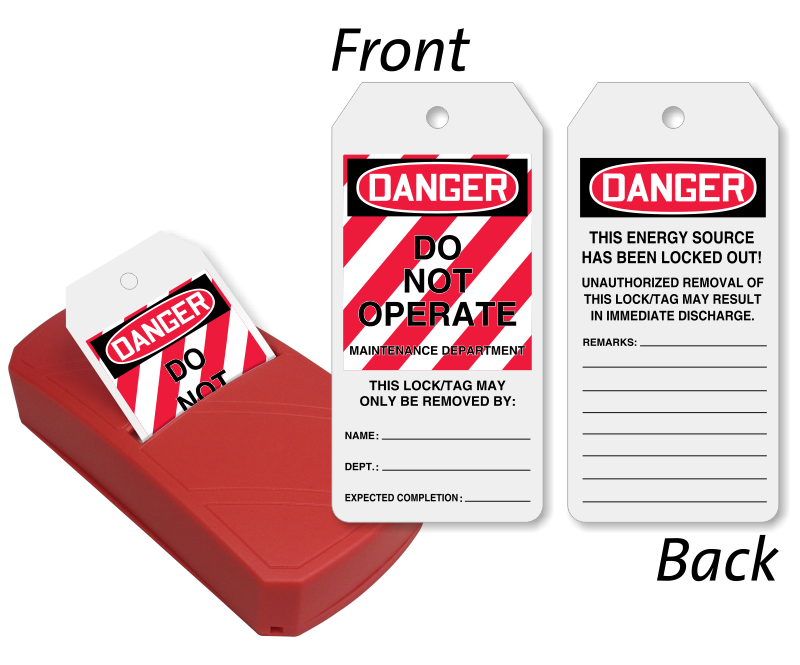 Our Take-A-Tag Dispenser makes it easy to keep your Do Not Operate Maintenance Department Tags handy and neat. • Take-A-Tag Dispenser comes with keyholes for easy mounting near workstation. 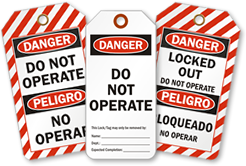 • Tags are attached to each other through perforations and fan-folded neatly in the plastic dispenser. • Refill tag pack is available here.